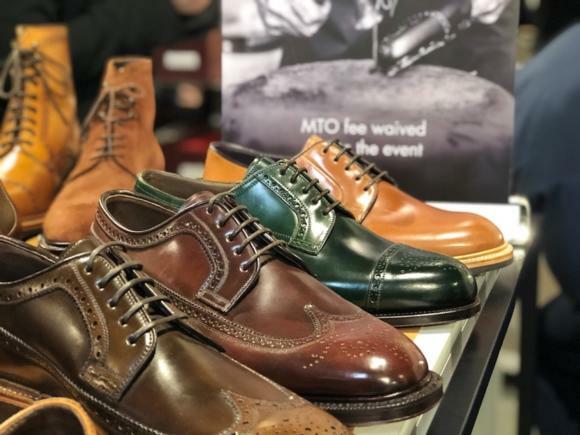 Last Saturday was the Super Trunk Show in London – an event for shoe brands and enthusiasts that has been in London twice before. (It was originated in Stockholm, where the sixth iteration takes place later this year). 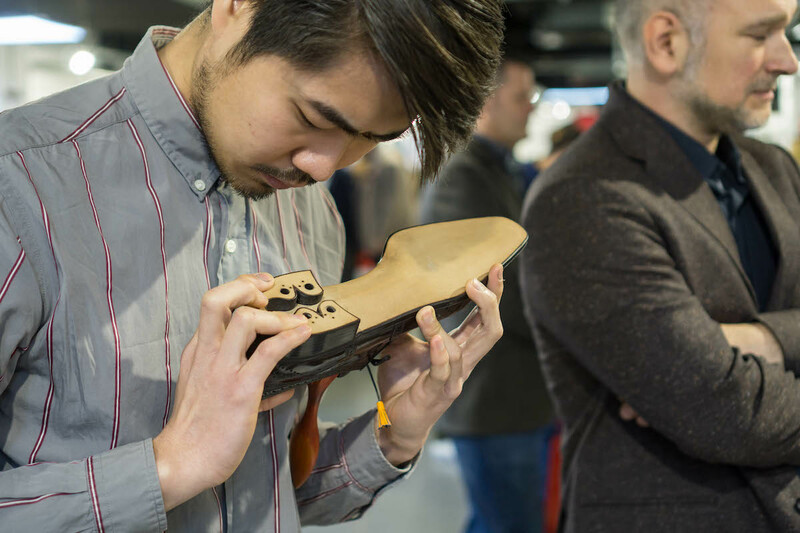 Super Trunk is great fun, and Justin and Jesper of blogs The Shoe Snob and Shoegazing deserve a lot of credit for creating something that’s become a real focus for the industry. 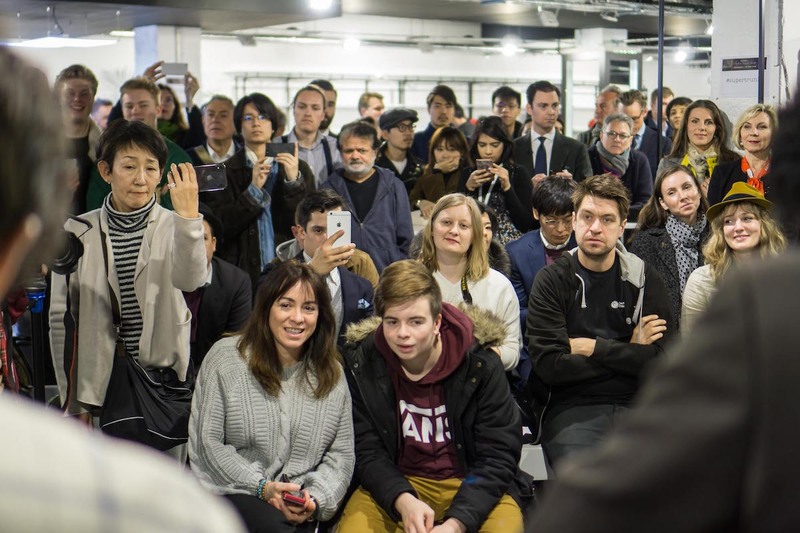 There’s always a buzzy atmosphere, and quite a few consumers as well as brands fly in. Friends like Edmund Schenecker, who readers might remember from our first Huntsman dinner, was there in London, as well as Jean-Baptiste Rosseeuw (until recently, agent for Lavabre Cadet gloves). Indeed you can imagine something similar would be nice for tailoring. It would likely focus on bespoke, and be similarly niche, but that’s what enthusiasts want. 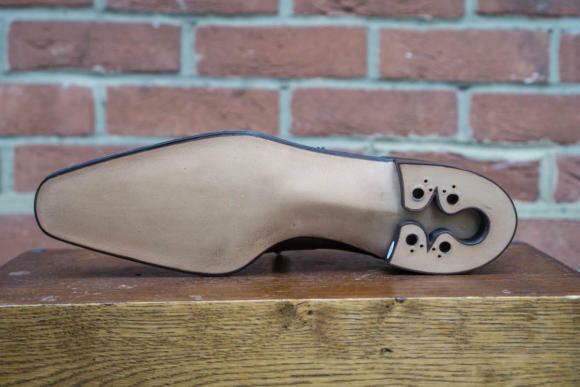 Several shoemakers take stands – and for me this is the primary interest. Given makers like Norman Vilalta and Carmina don’t have shops in London, this is the only chance to see the full, current range in person. Even at Pitti, a lot of the new things on display are speculative - to suggest to wholesale buyers rather than sell to consumers. 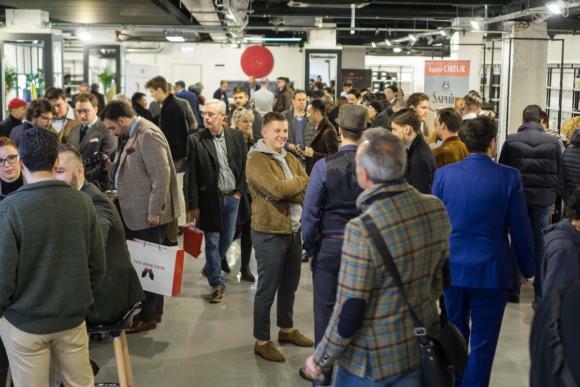 And of course most people that come to Super Trunk aren't at Pitti either. Talking to Norman, it sounds like he now has the support to focus on design, which is good as he’s often running around trying to do everything. There will be a couple of new releases by the summer. And at Carmina, it was interesting to hear about a few of the shoes customers design with the made-to-order programme. 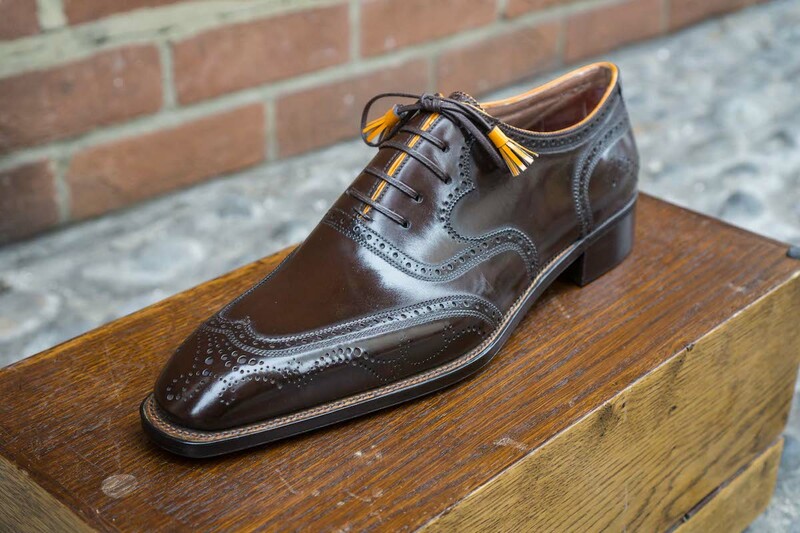 Like one that had a cap-toe derby made in five different colours of cordovan. It was nice to see JSEP (Japan Shoes Export Platform) and J Hopenstand too. The regular shoe shining competition makes for great spectacle. Even if you’d rarely be starting with a raw shoe, and it’s not easy to tell who does what differently, there is something about seeing someone else do in person what you do at home alone, that is good to watch. Perhaps most interesting is the World Championships in Shoemaking, which was started last year. This has more depth and real long-term significance. Depth, because there are considerations of technical prowess as well as design, and questions about the objectivity of both: it makes you consider what aspects of a shoe you think are the most impressive or deserve to be rewarded. And significance because it has the potential to inspire young shoemakers, by showing off the absolute pinnacle of bespoke work. 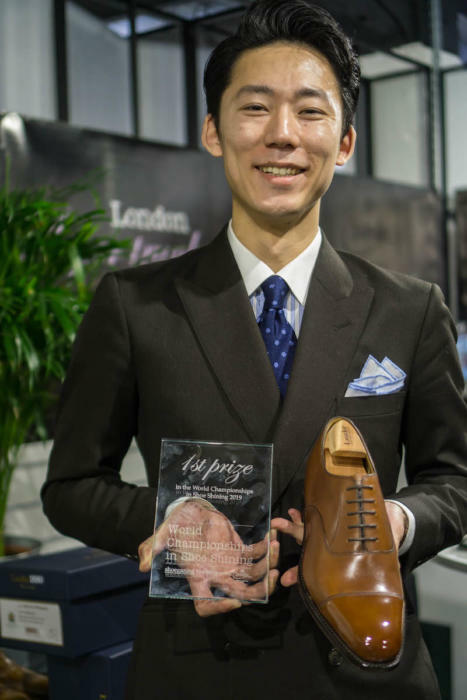 Particularly because the winning shoes are displayed around the world, and because bespoke shoes – unlike ready to wear – are often only seen by the maker, customer, and a few friends. There were beautiful pieces on display this year, as well as some slightly amateurish ones. But the field was bigger than last year, and the standard higher. 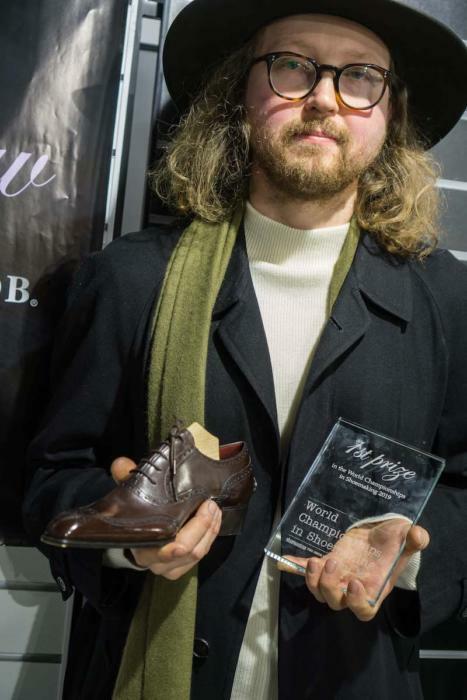 Some of the best makers in the world submitted, including Daniel Wegan (above, who won) and Christophe Corthay (below, who came second). 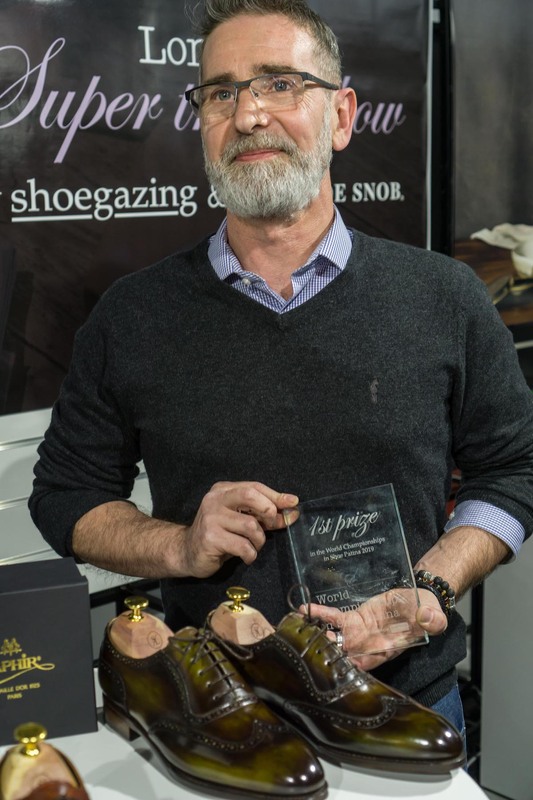 Interestingly, last year’s winning shoe - from German maker Patrick Frei - seems to have set a precedent for decorative shoemaking. Everyone this year seemed to have some decorative metal taps or heels. In the images of Daniel’s shoe above you can see the horseshoe-shaped heel and plate, but there are also tiny details that can easily be missed, like the watermark-like pattern in the holes of the toe tap. Christophe’s shoe, above, had a more intricate heel (though without the metal details) and a decorative shoe tree that isn’t pictured here. The third-placed shoe, from Eiji Murata, was more classic and just beautifully made. Daniel’s win was well deserved for all the detailed work that went into the shoe, most impressively the hand-sewing of the entire upper. In the future, personally I'd also like to see consideration of last design, and therefore more of a connection to real shoes. Christophe and Daniel’s entries were both very slim, while another entry had a large, bulbous toe. 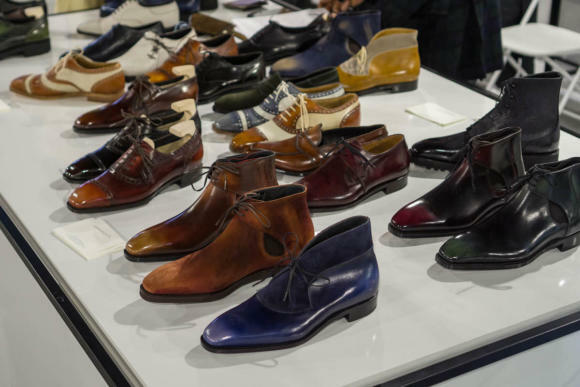 They were beautifully made – probably some of the best shoes made in decades from a technical point of view – but were perhaps disconnected from the proportions of normal footwear. There is something beautiful for me, and also artistically impressive, in creating an attractive last. It’s akin to sculpture, and arguably a different skill to the other aspects of make or design. The suggestion is not that the shoes should be wearable. In the history of such competitions, the entries have never been wearable. But they have been idealisations of a regular shoe. They have been relatable. It's a personal view, but I think broadening the criteria to include everyday last design might give the competition even greater impact. Congratulations again to Jesper, Justin, and all the others involved in making Super Trunk. I only wish I could make it to Stockholm for the Swedish instalment. There will be a full list of the results of the shoemaking competition and the other parts of the event on Jesper’s blog soon here. You can also see the full criteria for the competition here. You can follow the discussion on The shoe Super Trunk in London – and best shoemaking in the world by entering your email address in the box below. You will then receive an email every time a new comment is added. These will also contain a link to a page where you can stop the alerts, and remove all of your related data from the site. Christophe’s shoe is hardly slim, in fact I am surprised with the lack of shape through the waist, mainly at the outside of the shoe. Amongst those pictured, Eiji Murata’s shoe is just lovely; shape, proportions….just beautiful. And definitely real and wearable. Daniel’s shoe is very slim indeed and perhaps not wearable. With Christophe’s, I don’t think this is an issue with the pictures. There seems good shape through the arch, but not much beveling of the waist. 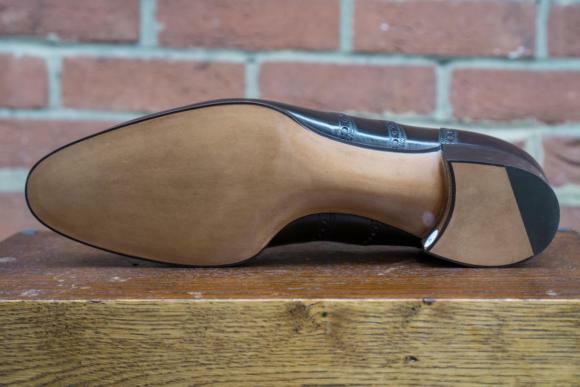 There’s always discussion on r/goodyearwelt about whether the shoes should be “wearable” (whatever that means – obviously no shoe is wearable for everyone). 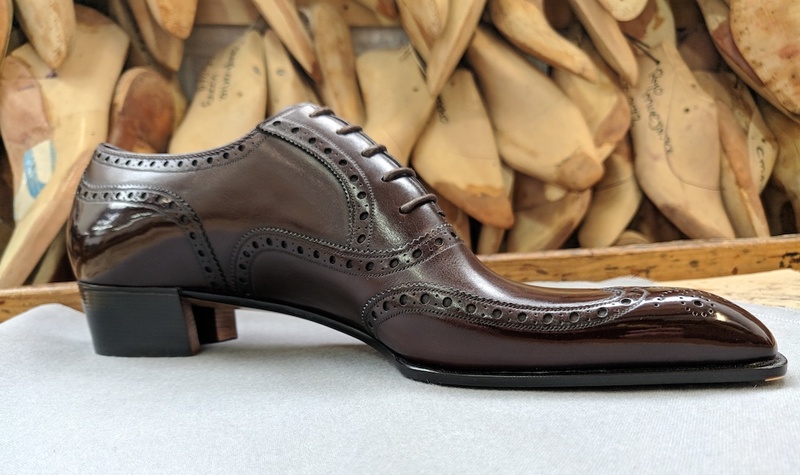 Certainly, it seems like there is a fine line between shoemaking and sculpture, and the winning shoe this year falls more into the latter than the former. It reminds me a bit of a pedigree dog- there’s this artistic / aesthetic appeal, but taken to such extremes that it becomes a bit grotesque. Can’t argue that the details are beautiful though – that horseshoe heel is amazing. Could that ever be used on a wearable shoe, or would it have some practical problems? Nice points. I think ‘wearable’ means wearable by someone, rather than anyone. Eg a small women’s shoe is often more beautiful than a large men’s one, but it is wearable, and so the proportions are still similar to a normal shoe. I think the heel could be worn, yes. I can see either side. It’s maybe asinine to insist on “wearability” as they are made by people who make wearable shoes day-in, day-out – so using it as an opportunity to showcase their craft makes sense too. It’s the same difference between catwalk clothes and everyday clothes. Christophe’s heel looks nicer, but you’d need to carry something around to pry stones and gravel out from it! A few people have made the comparison with catwalk clothes, but I’m not sure it’s that accurate. Catwalk clothes could not be worn all day long, or at work, but they are all shown on people, and are therefore much more relatable to other clothing I think. They are about dressing and ornamenting the human form, even if it’s in extreme ways. But extreme shoes have no connection to the human foot. I suppose, though maybe you could say that any catwalk clothes relying on the build of a typical model would also be unwearable for a large chunk of the population? Maybe going into semantics now. As you say in the article, if you could incorporate last design in, then it seems like you’d be setting a sensible benchmark and baseline for the designs, which appears to be missing at the moment. That could actually make the comparisons between the entries more meaningful. Couldn’t agree more Simon. Eiji-san’s shoe stands out in the top as the most beautiful shoe in my mind. I get the feeling that Daniel was looking to provoke a bit with his shoe, although it is without question incredibly well-made. When you talk of shoes it’s almost always dress shoes or boots . But what about city walking shoes ….. who (brand) or what is the shoe to wear whilst running errands ? Or do we revert to sneakers ? I can easily walk 9 miles in a day for which much of what Cheaney, Church’s , EG etc sell is not suitable . If the shoes fit right and are looked after well, I can certainly walk 9 miles a day in these kinds of shoes. Certainly not every day, but I must do near to that during Pitti. Rubber soles help if you need it. If you need something with more comfort and support, then yes a clean trainer/sneaker like a Common Projects or similar. But wear them with other clothes that are similarly casual – don’t wear a big running shoe with suit, or wear black trainers thinking they look enough like a dress shoe. If you can’t wear these shoes for a longer period of time, they don’t fit properly. I spent a few days in Paris recently walking 18kms a day in C&Js, EGs and bespoke shoes, absolutely no problems watsoever. In sneakers I wouldn’t have lasted a day. A shoe for running errands in? As opposed to a shoe for walking from A to B in? A well made shoe that fits well will be comfortable to wear no matter how many errands. 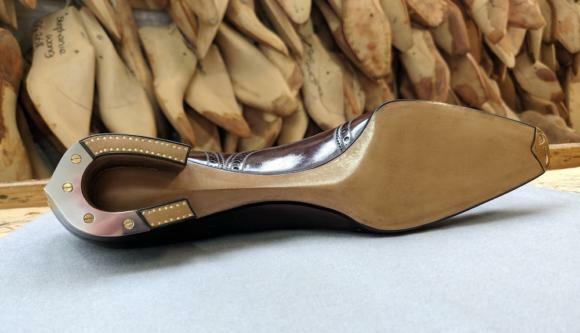 As for the horseshoe shaped heel, it’s a technical masterpiece and of course wearable, but the real point is it is not practical, unless you are carrying a Swiss army knife with the little attachment you use to get stones out of horses hooves. From the picture’s I’ve seen, Daniel’s shoe is gorgeous and well-deserving of a win. I disagree that it’s not relatable – it’s not relatable in the same way that Eiji Murata’s shoe is relatable (i.e. I could see myself in that shoe), but Daniel’s shoe still evokes nothing other than a beautiful dress shoe (albeit quite an extreme one). I do think the organizers should consider some rule changes next year (maybe a standard width? ), as otherwise I worry what will come. Most will notice the extreme design elements rather than the high level of craft that went into the shoe, and we may start seeing many entries that make Daniel’s shoe look tame and conservative. Even if these entries don’t win, it can still change the feeling of the competition into one of fashion design. Ideally one of the outcomes of such a competition is for shoemakers to push their skills in directions they never have before. It looks like Daniel did that, but others may not if we continue going in this direction. Did Frei not enter this year? His 2018 oxford is a serious piece of craftsmanship. Daniel is a master as well of course. It’s funny that he looks (ensemble included) nothing like what his shoe suggests. This year, Patrick Frei was a member of the jury and so not eligible to enter the competition. Thank you Simon for yet another informative review. I completely agree with your consideration about the importance of last design and I understand that Carmina has a considerable diversity of lasts, which tempts me to buy a pair. However, I would like to know more about the quality of construction and of the materials that they use, and I wonder if you have an opinion on this matter. For instance, how would you rate Carmina shoes’ quality in comparison to those that you have reviewed here in the past? Thank you very much for your help and once again congratulations on your work. I looked closely at the Carmina display. I then tried on a few pairs (as I was considering ordering a pair online) and none of them fitted well. The lasts, finish and VFM of C&J (I’m been a customer for over 30 years) are far superior to Carmina. Having now seen a few Mallorcan-made brands, for me, Northampton beats Inca every time! Problem with Carmina is that they nowadays use plastic heel stiffeners, instead of leather board which they used before (and most others in this price range is using). I notice a clear difference in comfort with my new Carmina pairs compared to old ones. In the 19th century, when the sewing machine and then the goodyear welting system were developed, there were competitions for shoemaking (actually, bookmaking, since that was the fashion then). In large part, these competitions were a response by traditional (i.e. handmade) shoemakers to the threats posed by the mechanized competition. The level of skill and attention to detail was incredible. 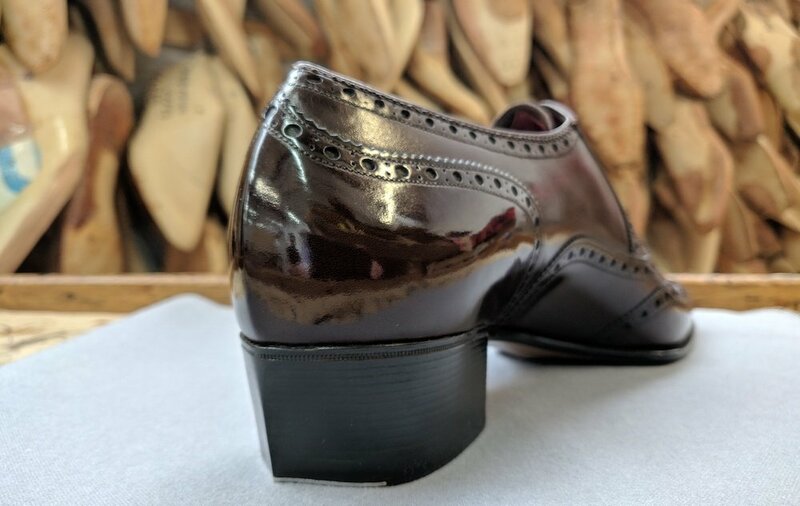 The sewing of the uppers was as fine as 60+ stitches per inch, all done by hand using the traditional shoemaker’s stitch with an awl and bristled thread. Likewise the welt/outsole stitches were incredibly fine, also sometimes approaching the 60 s.p.i. count. For reference, today the uppers are machine stitched at 12 – 16 s.p.i., and the outsoles generally at ~10 s.p.i. In other words, 4 to 6 of the hand-done stitches could fit in the same space as 1 of the current stitches! These show boots were not meant to be worn — they were very small sizes, very slim (to look more attractive), and with very thin soles. You can see examples at the V&A (with a lower stitch density but still very impressive) and in the Lobb St. James display cases. Truly incredible displays of the shoemaker’s skills. The stitches are so small they simply look like dots on the leather. Thanks, great information on the history of the competitions. There are some good examples in the Northampton museum too. I think that reflects the points that it’s possible to make beautiful entires that are perhaps slightly exaggerated, or made slim and small to be more attractive, but they’re not extremes. I went to the Super Trunk Show. 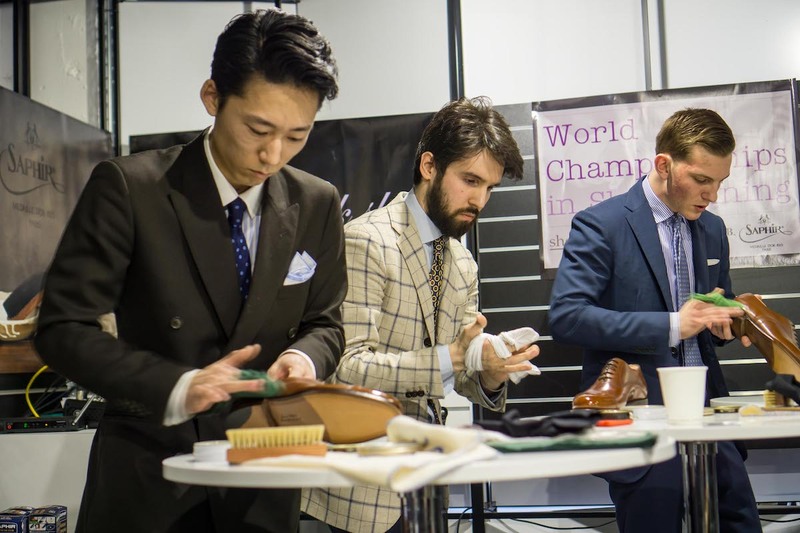 The shoe making championship should demonstrate the best quality that a customer can wear regularly. Comfort is a key a factor and was ignored completely. The table of shoes from a wide range of makers was more illuminating. Sadly, the quality of the brands’ RTW shoes was below my expectations. Norman Vilalta, Carmina and Heinrich Dinkelacker (especially!) disappointed and failed to live up to their iGent hype. I will remain loyal to my favourite British makers. What about the TLB Mallorca Artista range they introduced there, did you have a look at those? Looks great on pics I’ve seen and the specs is impressive. The narrow-waisted lasts rule them out for me so I only had a brief look. 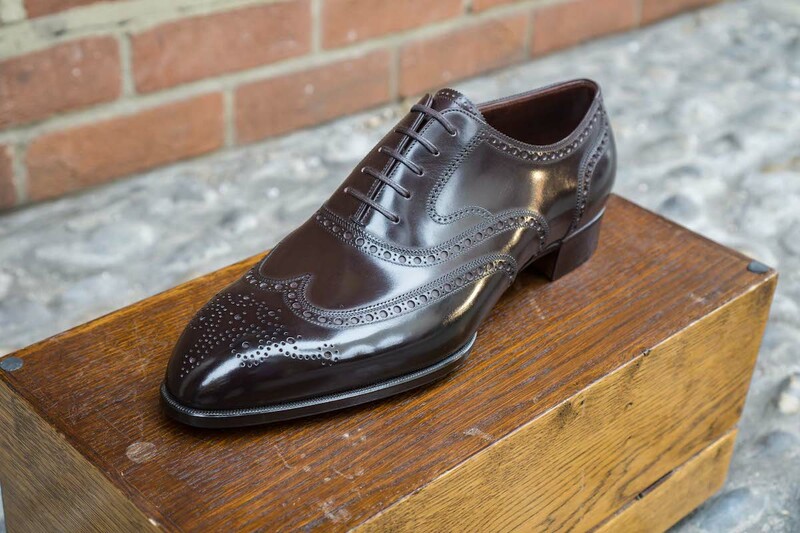 I prefer Crockett & Jones, especially as my shoes are resoled and repaired at the factory on the original lasts. With the European trunk show sellers, I would have to add shipping costs to resoling prices. How do you judge a competition based on comfort? A shoe that is comfortable for one person may be painful for another. 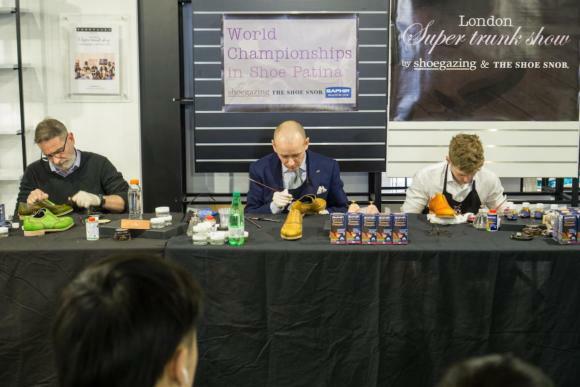 A shoe may be extremely comfortable for one person in the world, but not comfortable for any of the judges. Sadly, Carmina did not give the wow factor that I had hoped for. To me, C&J offers better overall value but that may be due to my decades of brand loyalty. In the end, however, it’s just my subjective personal opinion. If you like Carmina, ignore me and stick with the firm or give it a try. The staff were very friendly and professional so customer service should be very good. There is a bigger selection in the stores so I hope to pay a holiday visit to either Barcelona or Palma which may change that perception. Dinkelacker was a big disappointment as had I wanted to get a pair of “gunboats”. The real lesson is to ignore the internet hype and shop in person. Wow. I’ve got several pairs and not had any issues. I’m aware that there were some reports of problems with sole stability. However, I believe this was in the past. In terms of materials, they source their leather from top quality suppliers eg Annonay, Stead and Horween. Certainly, their leather is no worse than C&J. I have shoes from both manufacturers and like both. Although, I prefer Carmina based purely on fit. Could you please explain why you think your pairs of Saint Crispins and Ugolinis should have a considerably greater longevity than your C&Js? Longevity is one of the aspects I value the most and I would like to understand better how that relates to shoe construction/materials. I do like the finishing/burnishing though….all first rate. Forgive my inability to be as involved as I would prefer, but you may recall I mentioned that I live in Sheffield (not in itself an issue) and I’m currently long term infirm, so walking far is an impossibility at the moment. My question is about the Shoe Super Trunk Show held in London. Do you publicise this when it’s due to appear in London, or do I need to join a mailing list? Your help would be greatly appreciated, thanks. Hi Alf. I will certainly publicise when it is due to happen next time, yes. That won’t be for a year though. Thanks for the prompt reply Simon, and even though it may be a year away I’ll look forward to learning when the next Shoe Super Trunk Show makes an appearance in London. PS is a welcome addition in my mailbox, in fact because I’m relatively immobile, reading some of your articles never fails to make me envious, in the nicest possible way of course. Beautiful clothes are as essential to the quality of my life as are great music, architecture, cinema, literature, in fact great design and creativity in general. I had a fitting with Daniel Weigan today (Simon, it’s Weigan, with an i). He’s a lovely guy to meet and a consummate professional – knows his craft intimately. Yes, these bespoke shoes are bloody expensive, but I’m fed up with shoes that are uncomfortable (I broke my leg with the army some years ago and my right leg healed marginally shorter than my left) and I have flat feet. If Daniel’s trial shoes are anything g to go by, these bespokes wil live up to expectations..
Would a similar contest make sense for tailors?